SpectraGenetics highlighted in POP City article. Developing and discovering new drugs requires time and money. Pittsburgh-based SpectraGenetics is working to address those constraints with a unique, gene-tagging technique. The life sciences startup, located on the South Side, is successfully selling a proprietary technique to produce full-length, reporter-tagged human and mouse genes that allow researchers to better understand the effect of drug interventions to the body.It’s a big win for pharmaceutical companies who gain from being able to reduce the time and cost involved in drug discovery and release new drugs faster, explains Nehal Bhojak, director of strategic life science initiatives for Idea Foundry. The technology is based on years of R&D through the work of Dr. Jonathan and Mary-Anne Jarvik , a husband and wife team with CMU. 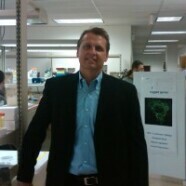 SpectraGenetics hired CEO Reid Asbury last year, an executive with genomics and proteomics experience from New Jersey. The startup moved into active commercialization and sales in September of 2010. With Asbury’s help, it has generated earned revenues of $180,000 since January of 2011. SpectraGenetics has raised $2.75 million in non-dilutive grant funding and $85,000 from Idea Foundry and is in growth and fundraising mode, says Bhojak. The firm employs four to six full and part-timers in addition to Asbury and the founders. Plans call for hiring a sales team in the near future.